Kara Alaimo Ph.D - Kara Alaimo, PH.D.
Kara Alaimo, Ph.D. is a global public relations consultant, trainer, and professor and author of Pitch, Tweet, or Engage on the Street: How to Practice Global Public Relations and Strategic Communication. A former communicator at the United Nations and in the Obama administration, she develops communication campaigns for clients such as the United Nations, organizes employee trainings for companies on how to adapt messages and strategies for different global markets, and speaks at events around the world. She is a member of the public relations faculty at Hofstra University. Her articles about international and political communication have been published by media outlets such as The New York Times, The Washington Post, The Atlantic, Harvard Business Review, CNN, Bloomberg, Al Jazeera, Fortune, Columbia Journalism Review, Newsday, and The Hill, and by academic journals including the International Journal of Communication, Journal of Communication Management, Journal of Public Affairs, Case Studies in Strategic Communication, and Social Media & Society. She is a frequent guest on media outlets including the BBC World Service program “Business Matters.” In 2017, she received the “Titan of the Future” award at the World Communication Forum gala in Geneva and was named one of the 50 “game-changers” in the field of PR by PR News. Kara Alaimo, Ph.D. is a global public relations consultant, trainer, and professor. A former communicator in the Obama administration and the United Nations, she now consults on global communication campaigns, designs customized employee training programs for companies on how to adapt messages and strategies for different global markets, and teaches public relations at The Lawrence Herbert School of Communication at Hofstra University. She is author of Pitch, Tweet, or Engage on the Street: How to Practice Global Public Relations and Strategic Communication and a member of the board of the World Communication Forum in Davos. From 2012-2013, Dr. Alaimo served as Head of Communications for the United Nations Secretary-General’s High Level Panel on the Post-2015 Development Agenda, a group of heads of state and other eminent thinkers convened to recommend the world’s next plan for eradicating poverty and achieving sustainable development. In 2011, she was appointed by President Obama as Spokesperson for International Affairs in the U.S. Treasury Department, where she communicated global economic diplomacy initiatives, including America’s bilateral economic relationships; engagement in multilateral institutions including the G-20, World Bank, and IMF; and international monetary, trade, development, environmental, and energy policy. In this capacity, she also served as media adviser to Jim Yong Kim during his successful 2012 campaign for the World Bank Presidency. She also previously served as the first Press Secretary of the Peter G. Peterson Foundation, Global Media Coordinator for the United Nations Millennium Campaign, and as a spokesperson for New York City economic development initiatives during the administration of Mayor Michael R. Bloomberg. 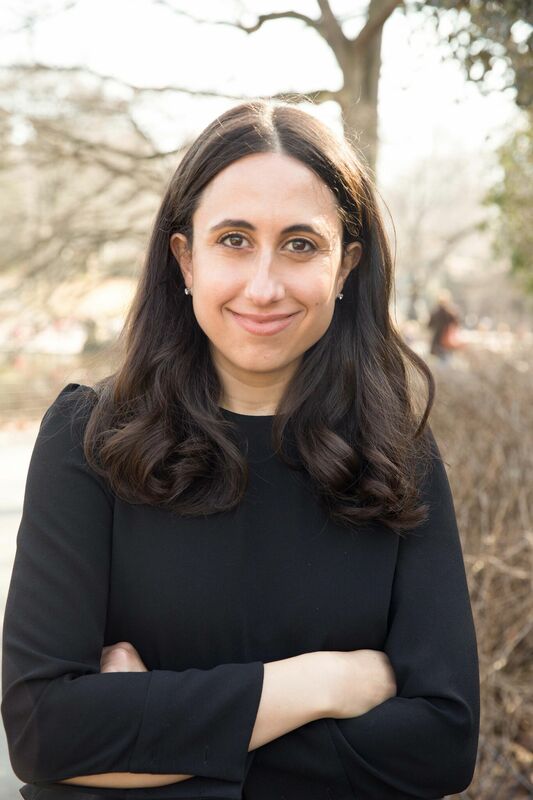 Dr. Alaimo earned her Doctor of Philosophy, Master of Philosophy, and Masters of Arts degrees at the City University of New York, and her Bachelor of Arts in Journalism at N.Y.U. Her academic research on international and political/advocacy public relations has also been published in academic journals including the International Journal of Communication, Journal of Communication Management, Journal of Public Affairs, Case Studies in Strategic Communication, and Social Media & Society. 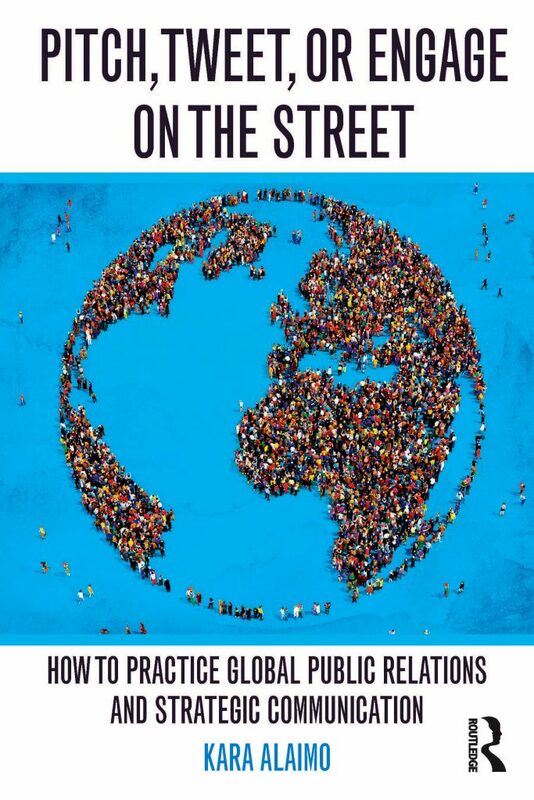 Kara Alaimo’s book, Pitch, Tweet, or Engage on the Street, offers a modern guide for how to practice public relations and strategic communication around the globe. Drawing upon interviews with public relations professionals in over 30 countries as well as the author’s own experience as a global public relations practitioner in the United Nations and in U.S. President Barack Obama’s administration, this book explains how to adapt public relations strategies, messages, and tactics for countries and cultures around the globe. The book begins by explaining key cultural differences which require practitioners to adapt their approaches, before discussing how to build and manage a global public relations team and how to practice global public relations on behalf of corporations, non-profit organizations, and governments. Then, the book takes readers on a tour of the world, explaining how to adapt their campaigns for Asia-Pacific, Europe, the Middle East, the Americas, and Sub-Saharan Africa. Along the way, readers are introduced to practitioners around the globe and case studies of particularly successful campaigns – from a public relations “siege” that successfully ended an epidemic of violence in Kenya to the remarkable P.R. strategy adopted by Bordeaux wineries in China that led to a staggering 26,900 percent increase in sales. Companion Website to the Book (Professors: Request a token to access the instructor section of the website, which offers a free guide for developing and teaching courses in international communication/PR, with a sample syllabus and lesson plans and PowerPoint presentations for every class session). Kara Alaimo provides counsel on, develops, and executes global public relations campaigns for clients. Most recently, she handled media relations for United Nations Volunteers’ International Volunteer Day campaign, garnering coverage in outlets around the globe such as the BBC, New York Times, EFE, Fortune, and Xinhua. She also develops customized training programs for companies and non-profit organizations, training staff on how to adapt their communication strategies, tactics, messages, and business practices when working in new global markets. 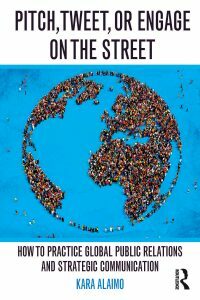 Kara Alaimo’s book on global public relations was published by Routledge in August 2016. Use the promo code FLR40 for 20% off the book and free shipping on Routledge’s website. International Journal of Communication, 10, 2016. Journal of Communication Management, 20(2), 2016. Which Government Officials Leak Unauthorized Information to the Press in Washington? Journal of Public Affairs, 16(1), 2016. Social Media & Society, 2015. Case Studies in Strategic Communication, 4(3), 2015. Center for Governance and Sustainability, September 2014. TV Used to Unite Americans. Now It’s Dividing Them. Longer Tweets Are a Win for Democracy. Seriously. Sometimes Presidential Rhetoric Can Boost the Economy. But Trump Won’t Find It Easy. Are Republicans Better than Democrats at Spinning the Press? Working in a New Culture: Should Your PR Strategy be Global or International? In Woody Allen-Amazon Lawsuit, An Explosive Hollywood Question: What Happens When Old Allegations Meet New Attitudes? Will Uber’s CEO Still Be Able to Save the Brand’s Image? Disney Made Quick Work of “Roseanne.” It’s Not Always So Easy. Did Melania Trump’s RNC Speech Help or Hurt Her Family’s Reputation? Navigating Cultures in Communication: A Master Class with Kara Alaimo, Ph.D. Communicating Globally: A Master Class With Kara Alaimo, Ph.D.